Damian Lillard’s name has been attached to trade over the past couple of days. Lillard responded to a fan tweet that was blown out of proportion. 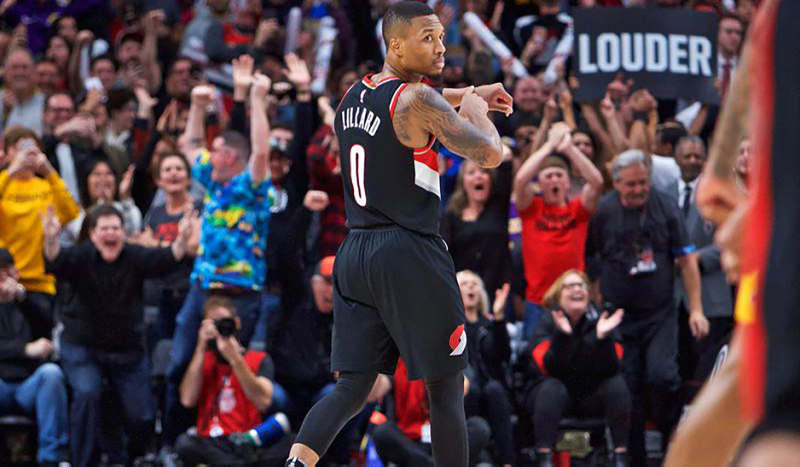 Fans tweeted to Lillard about the possibility of him being traded to LA and Dame didn’t outright deny the possibility of him changing uniforms. “I’m typically a happy camper,” Lillard said in response. During a Summer League interview, the 3 time NBA All-Star clarified his tweet. So don’t expect Lillard to join Lebron in LA anytime soon.